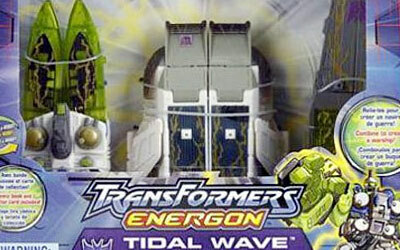 For eons, the Autobot and Decepticon action figure warriors have fought over Energon, a rare and potent substance. Now, the zone shifts to Earth. Only an elite team of Autobots, empowered with the Spark of Combination, can save the planet from an imaginary end. Combine Grindor, High Wire and Sureshock Mini-Con cartoon figures to create the Perceptor toy robot. Includes comic book. Play fleet sea vehicles form the imposing toy boat with launching units. Comes with collector card.